← New Year Bin End offers – Segunda parte! The Domaine Zind Humbrecht was created in 1959 by the fusion of two winegrowing families, the Humbrecht family from Gueberschwihr and the Zind family from Wintzenheim. The Humbrecht family has passed down a passion for wine making, from father to son since the seventeenth century. Through the second half of the 20th century and into the 21st, the domaine has been a pioneer in Alsace, paving an innovative path for the region. 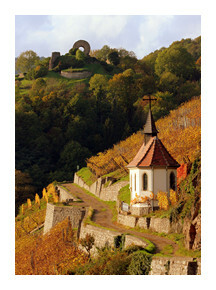 During the 1960’s and 1970’s some of the greatest terroirs in Alsace were left abandoned. These terroirs were usually on steep slopes which made them difficult to work and lower yielding. The flatter and more fertile vineyards on the valley floor which were easier to cultivate became more sought after. With his vision and focus on great terroir, Léonard Humbrecht (President of the “Syndicat de Defense des Grands Crus d’Alsace” and one of the lynchpins for the creation of the Grand Cru classification system in Alsace), decided to save these historic hillside vineyards. He started by acquiring parcels of vines in the areas where the two families already vineyards, in the villages of Gueberschwihr and Wintzenheim. In this way the Domaine has expanded steadily, through selective vineyard purchases and exchanges the family holdings have increased from less than 5 hectares in the early 1960s to the 40 hectares the Domaine owns today. Léonard Humbrecht has always championed the concept of terroir, taking a long term view he sought to preserve and respect the overall health of his vineyards and vines, wherever possible he avoided the use of chemical sprays and artificial fertilisers which he believes can mask and alter the vineyard character. Léonard’s philosophy remains the core principle of the Domaine Zind Humbrecht, it guided his son Olivier to convert the estate to organic and then biodynamic agriculture starting in 1997 – this approach is based on respect for the terroir, it encourages strong healthy vines which cope better with disease and climatic extremes. Higher density planting together with the biodynamic regime mean lower grape yields which certainly contribute to a stronger expression of vineyard character – In the case of the Clos St Urbain Rangen vineyard the planting density is 10,000 vines/ha. As the vines mature the terroir character comes through strongly, and in great vineyards like the Rangen the terroir is so dominant that varietal character almost takes second place. 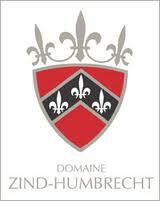 Léonard’s son, Olivier Humbrecht MW manages the estate and makes the wines. His rigorous analytical approach in the vineyard and winery has raised the DZH wines to new heights. Voted White Winemaker of the Year seven times by his peers. 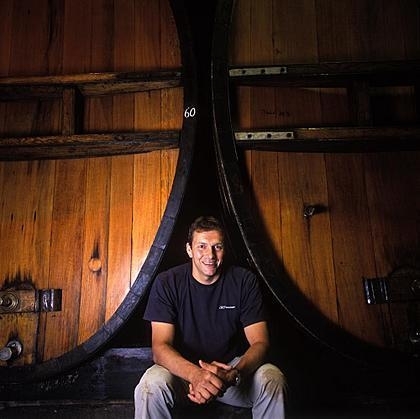 Olivier is widely considered to be one of the best winemakers in the world today. This entry was posted in Alsace, Tasting notes and tagged Clos St Urbain, Domaine Zind Humbrecht, Leonard Humbrecht, Olivier Humbrecht, Rangen de Thann. Bookmark the permalink.